The Washington Examiner announced Tuesday that it would cease its daily print publication in June to become a website and weekly magazine focusing on national politics. The paper will eliminate its local coverage of the D.C. area, as well as its entertainment and sports sections. In all, this will translate to 87 people getting laid off across the board, with an eventual 20 new hires to help with the weekly magazine. The last daily print edition will be published June 14. The first issue of the weekly is expected June 20. 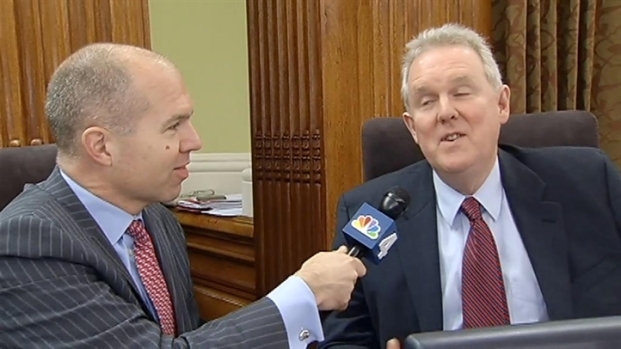 Council member David Catania grabbed the mic to grill Council member Tommy Wells about what undergarments he wears and his thoughts about dogs. Read his full memo to Examiner staffers over at City Paper. D.C. Council member Muriel Bowser is expected to announce her candidacy for mayor over the weekend. Hers is one of five names already mentioned as potential candidates. news4's Mark Segraves reports.